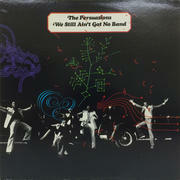 The story of the Persuasions, in many ways, is as exceptional as the sound they created: five guys from entirely different parts of the country—and five distinct but complementary musical backgrounds—coming together on the corners of New York's Bedford Stuyvesant neighborhood in the early 1960s to form one of America's most unique vocal ensembles. Of the group's five founding members, only one, Herbert "Toubo" Rhoad, was a native New Yorker. Joe Russell had grown up singing Gospel in North Carolina, Jimmy Hayes in Virginia; Jerry Lawson singing gospel in a Baptist church in Florida, spending summers in Philly listening to Sam Cooke, Elvis, Nat King Cole and other great lead singers; Jayotis Washington had been reared on music as well. Thanks to serendipity—and impromptu vocal sessions following daily pickup games at the Green and Washington basketball courts—the five aspiring melodists gradually discovered one another and their mutual love for harmony. They began singing together constantly, performing on neighborhood street corners, in basements and subway stops (where they found the acoustics were best), and eventually, cut a demo tape during a garage practice session. The tape made it into the hands of friend and eventual manager David Dashev, who brought it to the owner of a record shop in New Jersey one day in 1968. The guys were standing around the shop, singing and harmonizing, when the owner made a phone call and held the receiver up for the party on the other end; it was Frank Zappa, who, upon hearing the group, immediately booked five round-trip tickets to L.A. He signed the group to Bizarre Records, a label he had started with his manager, Herb Cohen, to promote an eclectic roster of acts, including, along with the Persuasions, the late folk crooner Tim Buckley (father of Jeff Buckley), a strange British stand-up comedian named Lord Buckley, a then-unknown rock band named Alice Cooper and the controversial GTOs, a vocal group made up of real-life groupies whose full name was Girls Together Outrageously. Performing with no instrumentation at all (among their most popular releases was one called Street Corner Symphony, The Persuasions bridged the gap between the classic doo-wop groups of the 1950s and the multi-layered R&B vocal ensembles of the 1960s. 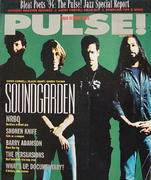 Thanks in large part to Zappa's efforts, the group found a large pool of industry support on the West Coast. They stayed in California for several years, and thanks to both the college touring circuit and the support of Dr. Demento Pasadena's free-form underground rock station, KPPC, gradually built up an enthusiastic fanbase. By and large, the response to the Persuasions from rock critics was extremely positive - due, in large part, to the fact that singing a cappella was unheard of especially in the middle of the '60s psychedelic rock 'n' roll era. Interestingly enough, the group had actually originally planned to perform with the accompaniment of a guitarist, who—thank you, Providence!—failed to show up at their first gig. Indeed, the ensemble seemed destined from the beginning, and even chose their name from the Bible, knowing that they would need to "persuade" disbelievers of an all a cappella group. Unfortunately, and for a number of reasons, the group never really received the widespread attention and acclaim they deserved. For one, they might have gained more popular exposure had they not signed with the idiosyncratic Bizarre Records. They may indeed have been "normal" by the label's standards; but shortly after the group released their debut album, Acappella (1970), Zappa and Cohen had a nasty falling out that ended with each of them suing the other for control of the label. Still, the group persevered, and eventually landed a deal with Capitol Records, who also had no idea how to market five guys with no band. Most of their material was classic '50s and '60s pop music, with the occasional contemporary rock song thrown in as a challenge to their ability to arrange for voices alone. 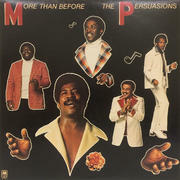 The Persuasions have remained together for over 40 years, and have recorded a prodigious number of albums—22 to be exact. The original lineup remained intact for over two decades, until the death of Herbert "Toubo" Rhoad, who passed away in 1988, while on the road touring with the group. After four decades singing, arranging and producing for the group, lead vocalist Jerry Lawson left the Persuasions in 2003. His new a cappella group, Jerry Lawson and Talk of the Town, is releasing their debut album in June of 2007; and the three remaining original members, augmented by the addition of three new singers, continue to tour under The Persuasions name today. 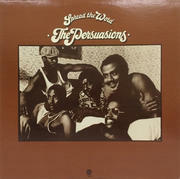 In truth, few groups of the '60s, '70s, and '80s created as genuine, compelling and earnestly unique a sound as the Persuasions. 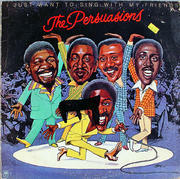 Incorporating a remarkable diversity of musical influences and material into their repertoire, and continuing undaunted in their pursuit of a pure, authentic a cappella style, the Persuasions truly were an extraordinary, and individually American, group of artists. 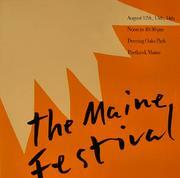 They are one of the most original acts Bill Graham.